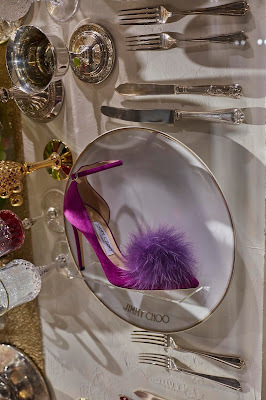 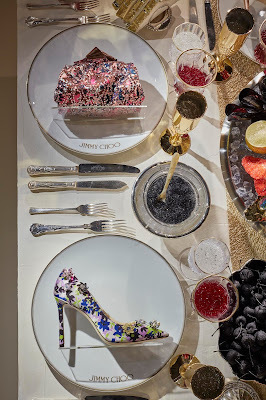 Launching across all flagship Jimmy Choo stores around the world, the latest installation is exquisite. 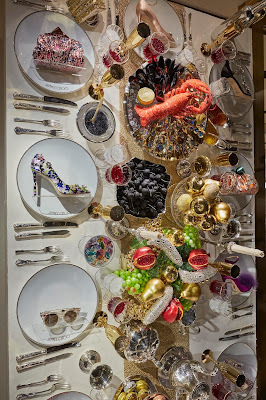 The brand worked in conjunction with www.harlequin-design.com to produce this scheme which consists of a vertical table complete with hand crafted tableware and food items all covered in sparkling Swarovski crystals (a whopping 2.3 kilos of crystals in each window). 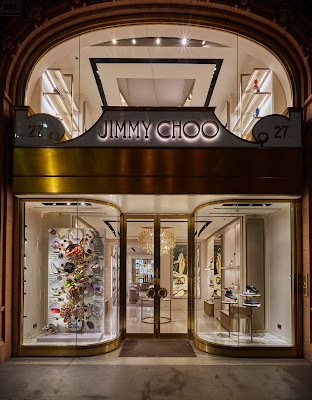 If can go and see this for yourself it really is a delicious scheme for this phenomenal brand.